Are you using your retail POS software to the best of its ability? If your POS is only ringing up sales, you’re missing out on some of its greatest benefits. Read on to discover how your point of sale can be instrumental in helping you manage store traffic. Your retail POS software is a great asset in queue busting, especially if it easily translates between fixed POS terminal to mobile tablet. Devices such as mobile tablets can be used to enhance your already existing POS. Store associates can use supplemental mobile POS devices, such as a tablet, to check out customers from anywhere on the store floor. This is critically important during your busiest seasons, such as the holidays and other traffic-heavy promotional periods. There’s nothing shoppers enjoy less than waiting in lengthy lines, so completing purchases on the spot instead of in an endless queue can boost the customer experience and increase conversions. What’s more, line busting can aid in capturing every sale; there likely are some customers who would abandon their purchase at the sight of a long line at the cash wrap. By using your retail POS software with a portable device, you can keep queues to a minimum and keep customers satisfied. Take the guesswork out of staffing and scheduling. Dig into data from your retail POS software to evaluate which times of day and days of the week you need more employees scheduled and when you can get by with fewer. Customers have many retail choices these days, especially as online shopping grows in popularity, so when they come to your store, they expect good service. Your retail POS software can help you to understand how many workers should be scheduled to properly aid shoppers and address customer inquiries. Historical data from your retail POS software also can shed some light on how many checkout lanes you should have open and available at any given time to sufficiently manage transactions. Keep labor costs in check by ensuring workers aren’t overstaffing the cash wrap when traffic is low. While customer data collection doesn’t exactly help manage store traffic, it will provide a deeper understanding of your customers, an understanding you’ll be able to turn into dollar signs. Encourage customers to share their information with you, which in turn you can use to better serve them. Your retail POS software is a rich repository of customer data, including purchase histories that can help you to tailor promotions and campaigns more effectively. 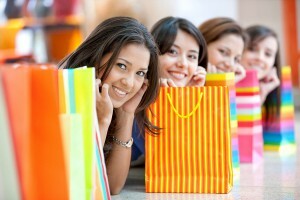 Utilizing customized promotions and sales will help you drive sales and generate customer interest. Retail POS software is a workhorse that can improve many aspects of your store operations. By tapping into all of its features to better manage store traffic, you’re guaranteed to maximize your POS investment.